ABU DHABI, February 20. /TASS/. The value of the contract with Iran for the supply of S-300 air defense systems almost reached $1 billion, the chief of the Rostec corporation, Sergey Chemezov, told the media. "The S-300 cost about one billion dollars," he said. No more supplies of Russian weapons to Iran were due for now, he added. 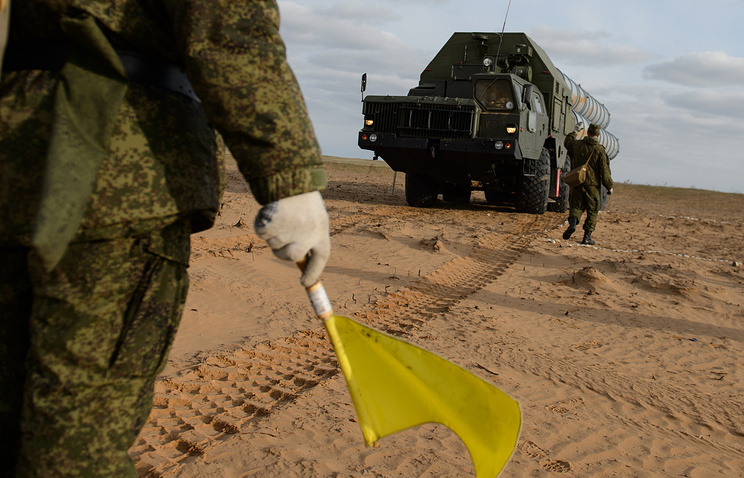 "We were through with the supplies of S-300. No plans for anything are on the agenda," he stated. The S-300 contract with Iran had been concluded back in 2007 only to have been suspended in 2010. Russian President Vladimir Putin lifted the ban from S-300 supplies to Iran. The contract regained force in November. Last October the federal service for military-technical cooperation said Russia had been through with the delivery of these weapon systems to Iran. Russia and the United Arab Emirates will get down to joint work on a future light 5th generation jet on the basis of MiG-29 as of 2018, according to Chemezov. "We believe we shall start working on this plane as of next year. It will take seven to eight years to develop," Chemezov said on the sidelines of the international weapons show IDEX-2017. "A future fifth generation plane will be created on the basis of Russia’s Mig-29," he added. Earlier, Russian Industry and Trade Minister Denis Manturov said that Russia and the UAE had concluded an agreement on industrial cooperation in military engineering, which enabled them to launch a fifth generation fighter project. 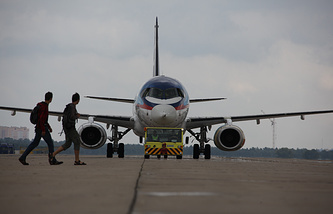 The head of the United Aircraft Corporation Yuri Slyusar said the work on the plane was at the initial phase and Russia was in the process of drafting proposals. The UAC would participate in the project as the leader organization, and Sukhoi and MiG as co-contributors. The United Arab Emirates has signed a declaration of intent with Russia to purchase Russia’s Sukhoi-35 jets, Chemezov said. "We have signed a declaration of intent on selling Sukhoi-35 jets to the UAE," he said. At the end of 2015 Chemezov announced that Russia and the United Arab Emirates were in talks over a potential Sukhoi-35 contract. Also, he said that Brazil and Indonesia had taken interest in the plane, too. 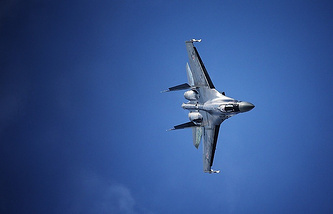 Rostec’s international cooperation and regional policies director, Viktor Kladov, said last week that a Sukhoi-35 contract with Indonesia would be concluded in the near future. In November 2015 Russia and China clinched a deal for 24 Sukhoi-35 jets. 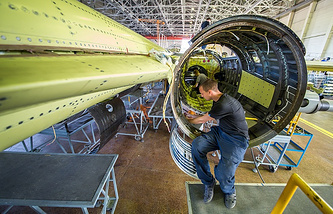 The $2 billion contract incorporates the supply of ground infrastructures and spare engines. Sukhoi-35 is Russia’s multirole fighter equipped with onboard phased array antenna radar and thrust vector control. It can develop a speed of up to 2,500 kilometers per hour and boasts a range of 3,400 kilometers. Its combat radius is about 1,600 kilometers. The fighter is armed with a 30-mm gun and twelve weapon stations for bombs and missiles. Rostec is ready to provide arms procurement loans to countries with unstable economies, Chemezov said. "We are ready to examine the financial state regarding countries facing financial problems, and provide loans in the future," he said.